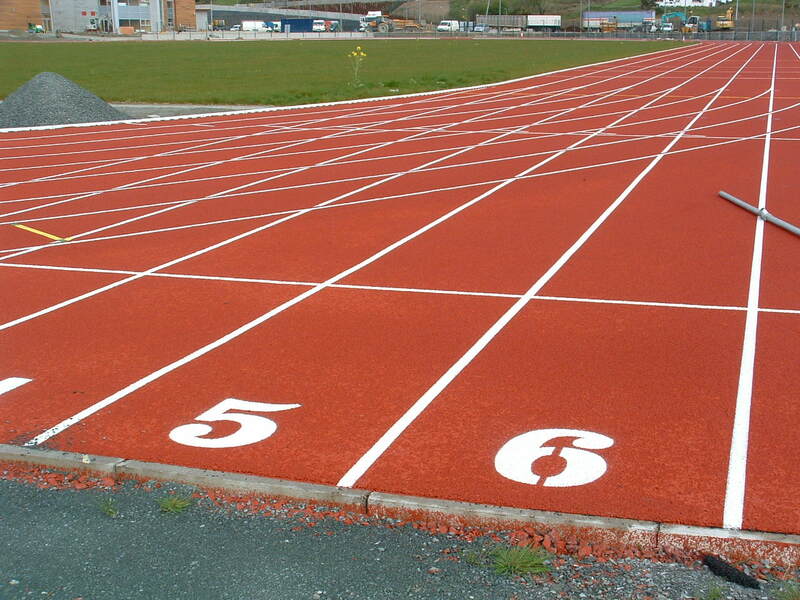 The demand for athletics tracks is on the increase in Northern Ireland and no doubt one of the key influences is the 2012 UK Olympics, with some of the North’s tracks planned for use in training. Ballymena-based Sports Surfaces Ireland is a market leader in the design, construction and installation of synthetic sports and play surfaces. Last October they completed outdoor sports facilities including three natural pitches, an athletics track and all-weather pitches at the new Letterkenny Leisure Park & Community Facilities, commissioned by Letterkenny Town Council. Project managed by architect John Murphy of Ranelagh-based The Holohan Group, specialists in sports, leisure and recreation facilities, the project is valued at €15m. Contractors Joseph McMenamin & Sons, based in Stranolar, nominated Sports Surfaces Ireland to sub-contract on the sports facilities, worth €1.5m. A running track has to be as strong as a regular road in order to carry heavy construction traffic and emergency vehicles. 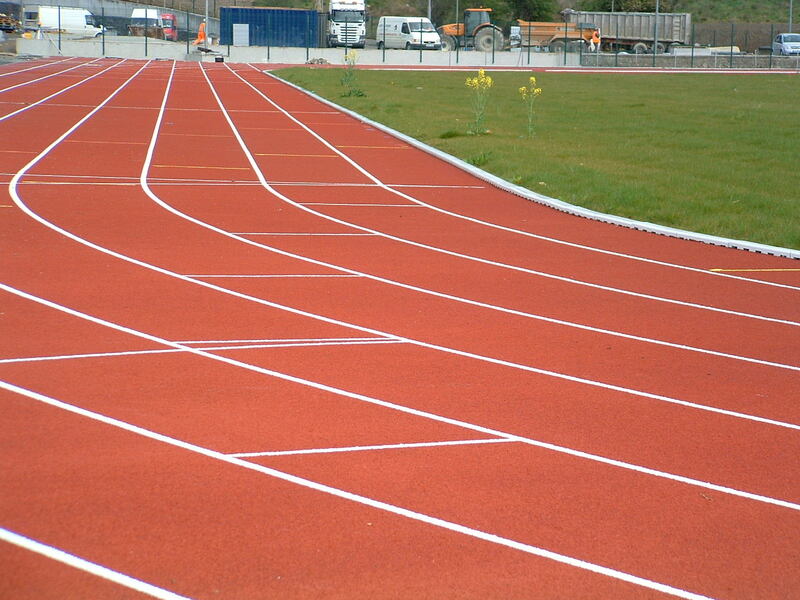 The polymeric track is manufactured on site using rubber granules mixed with polyurethane binder. Established originally as a private civil engineering firm in 1992, Sports Surfaces Ireland employs over 30 people and is very much a family business with Ed at the helm. When director James Anderson joined, they won their first sports pitch tender. As the market evolved they grew with it and today they are one of the largest installers of synthetic sports surfaces in Northern Ireland. Recyfix Sport drainage channels are specially designed to work alongside modern sports surfaces. 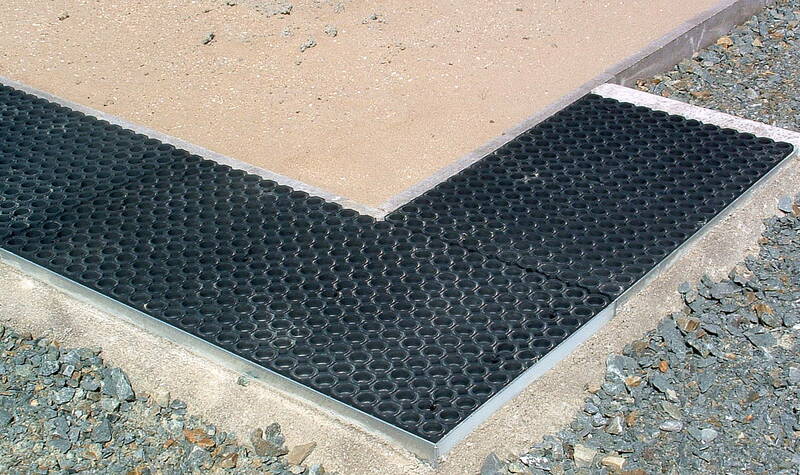 The channel covers are made from UV resistant white synthetic resin. They don’t absorb water and they are fracture-proof. The entire system is intended to be lightweight and easy to assemble and install. 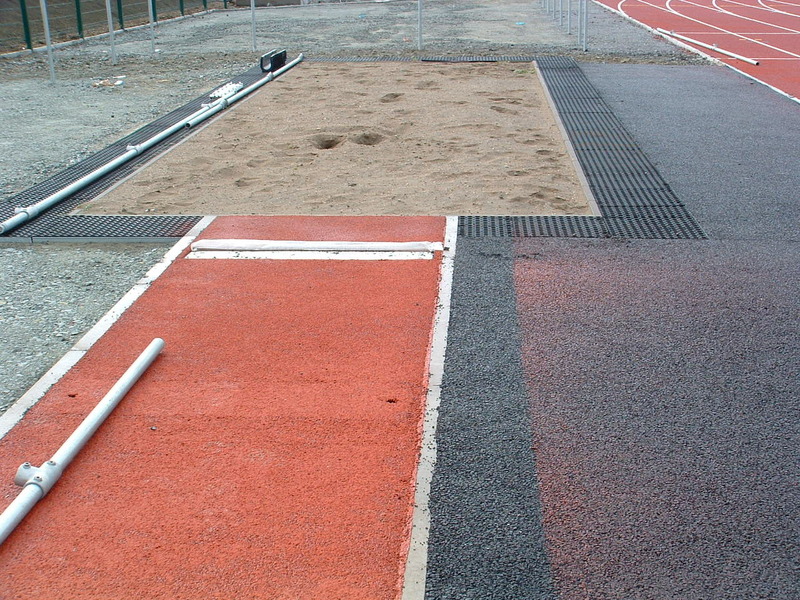 The Recyfix Sports range also includes ‘soft edge markers’ and ‘soft kerbs’ as well as purpose designed sand traps for the Long Jump and water jumps for the Steeplechase.